A few weeks ago we attended a wedding on the other side of the country in Pennsylvania. We had a 2 hour drive up the middle of the state and we were treated to some great scenery on the side of the highway. 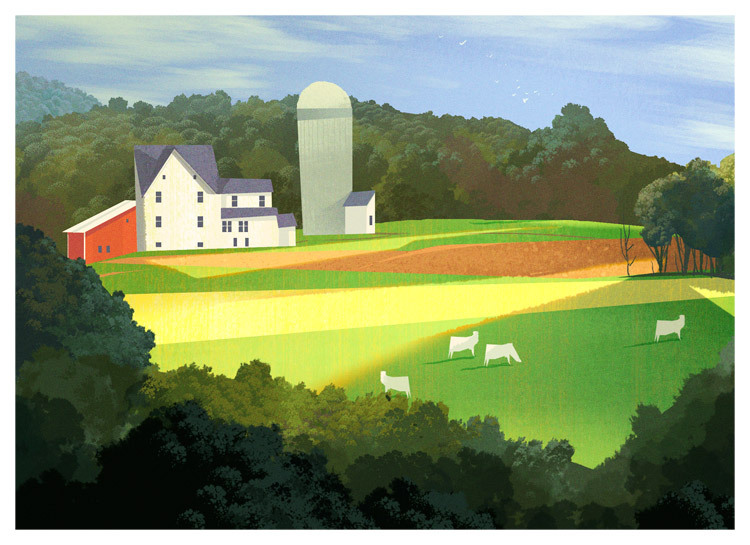 I remember lots of farm houses, barns and open fields. Here's another colab between me and my wife. 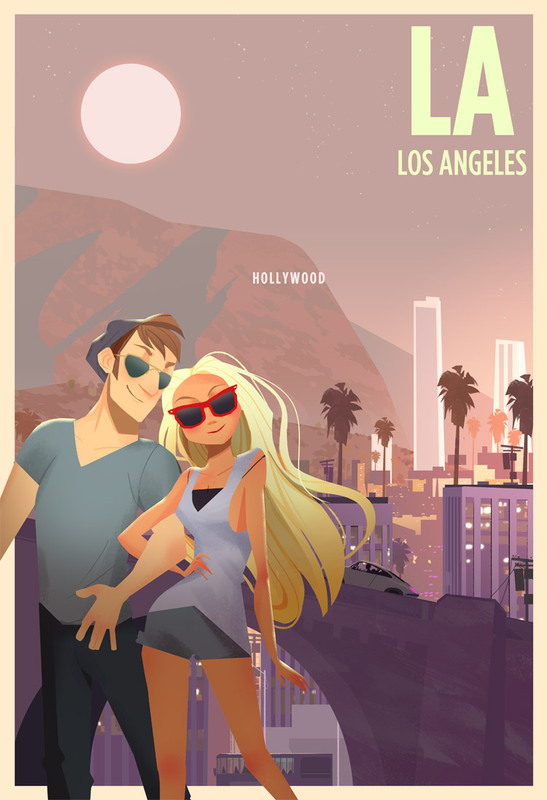 We both have spent our whole life in LA and been looking forward to depicting it as one of our city posters. I was that kid that was was always peeking into the attic or the basement and wondering what interesting and scary things that lurked there. I've always wanted to do a story and this is a bit of exploration. 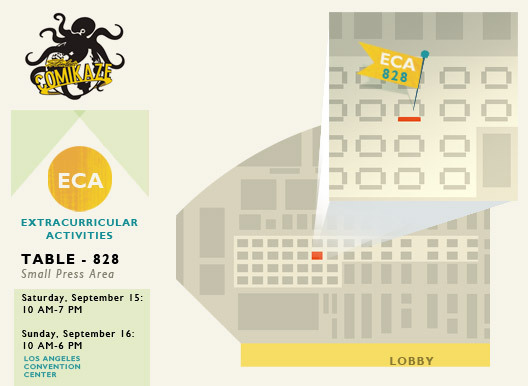 Also if you are in Los Angeles and looking for something to do this weekend, come and visit our booth at Stan Lee's Comikaze Expo. See our newest Prints & the local debut of our latest book. So stop on by booth 828 this weekend. 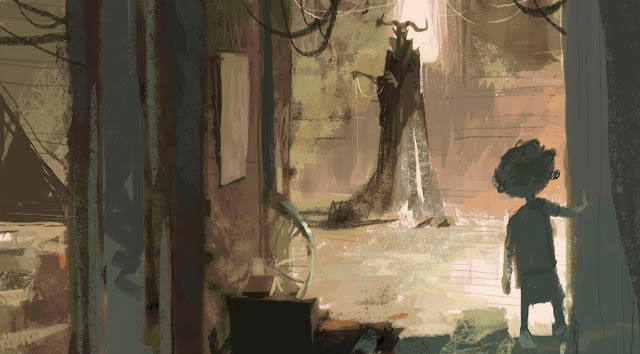 Another painting from our last book - Quarter Past.